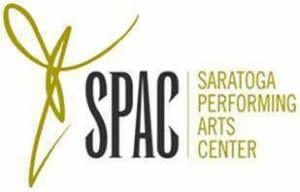 Saratoga Springs, N.Y. – As part of its commitment to expanding its offerings beyond the stage, Saratoga Performing Arts Center will present “Live at the Jazz Bar,” a series of evenings featuring live jazz music by acclaimed regional and New York City based ensembles, held in the Hall of Springs “Jazz Bar.” The events will be sponsored by Freihofer’s Baking Company, the longtime title sponsor of SPAC’s iconic Saratoga Jazz Festival, and admission will be free and open to the public. Slated for seven evenings during the classical season, the hours for the live music events will be 9:30 p.m. – 11:30 p.m. Open to the public, a ticket to the evening’s SPAC performance will not be required for entry. Dates for events include, July 11 and 15; August 2, 5, 9, 12 and 18. In addition to a cash bar, a menu of craft cocktails, tapas and light dining options from Mazzone Hospitality will be available. Hot Club of Saratoga - The region’s premier gypsy swing ensemble, Hot Club of Saratoga plays a repertoire that reflects the spirit and style originated by Django Reinhardt and Stephane Grappelli in The Quintet of the Hot Club of France most prominent in the 1930’s and kept alive through a long line of gypsy jazz artists since that time. Alta Havana – The richness and exuberance of traditional Cuban music and its many variations comes alive in the talented hands of Alta Havana members, Gerardo Contino (vocals), Itai Kriss (flute), Keisel Jimenez (percussion) and Jorge Gomez (keyboard/piano). All highly acclaimed musicians who have performed independently and with other ensembles on major festival stages around the world, the collaboration of their unique styles is a fresh, exciting take on Cuban music.